No team in the local area is more experienced to fix your garage door. Find superior quality in our large range of openers and door designs. When the problem is urgent, count on us to be as fast as possible. We have a fine reputation for placing safety at the top of our list. With our team you get quality service matched with excellent workmanship. In need of a quality garage door repair service? Our industry-leading team handles spring replacement, cable repairs, opener installations and other issues professionally. Click here! Garage door springs playing up? Our technicians can quickly get your door back to working order. Click here to learn more! 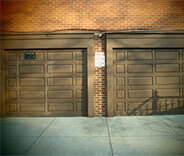 Garage door openers can develop problems over time, and may need to be repaired or replaced. We provide a wide range of services to keep your opener working perfectly; find out more by clicking here. A lot of different garage door related problems can be prevented by making sure your system goes through a professional maintenance routine. Click here to learn more. 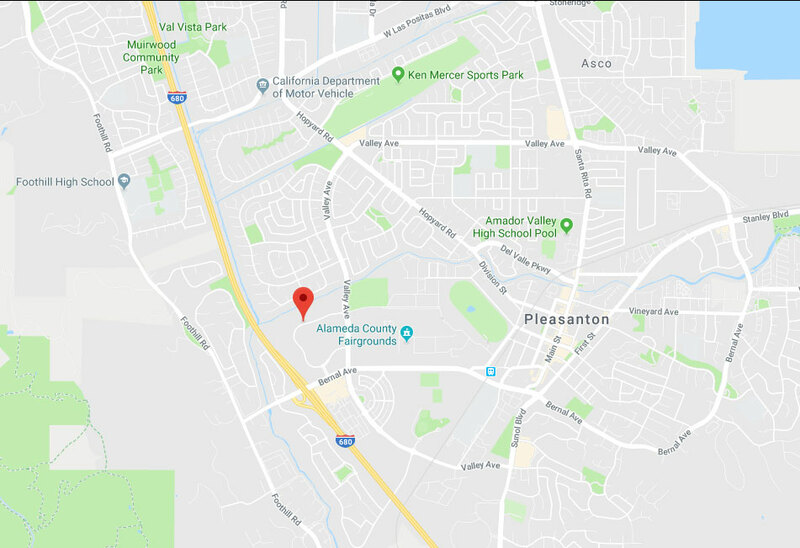 Garage Door Repair Pleasanton, CA is here to take care of any and all of your garage door’s needs before you know it! From installations to opener repairs, our experts can do it all for you quickly and easily. Allowing the professionals to take care of things is the best way to ensure it’s done right and will last you for years to come without any trouble! If you live between Dublin or Livermore, all you have to do is give us a call today to learn more information. 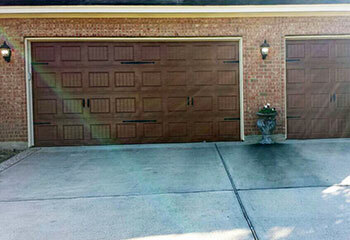 Getting a new garage door installed can do so much to improve your home’s image! You may not have considered it before, but your door makes up a big part of the front of your house, and has a lot to do with making a good first impression. Whether you have an older door that’s looking ragged, or simply want to upgrade, our team can assist you if you live around Union City. Working with the finest brands like Clopay and Amarr, it’ll be no problem for our professionals to get your new door installed before you know it! Your home will be looking fresh in no time, be it for yourself, or to up the curb appeal! Trouble with your garage door’s opener can manifest in troubles with noisiness, shakiness, or even your door reversing abruptly when starting to close. If you’ve noticed any of these problems, just reach out to our Fairview area team! With a thorough inspection of the opener and its related parts, our experts can get to the bottom of things in no time. Parts can be repaired and replaced as needed, or the entire thing can be switched out for a new one if there’s too much wear! Whether it’s a chain, screw, or belt drive, it’s all covered with us. 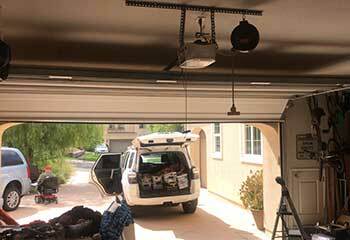 If you live anywhere around San Ramon or Fremont, our professionals would be glad to get your garage door in the best shape possible! From maintenance to spring replacement, you can count on Garage Door Repair Pleasanton to get it all tended to right away so you won’t have to worry about a thing. You can find out more by checking out our site! 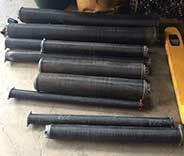 All of our technicians are highly experienced and fully qualified to handle any repair work. We use only spare and replacement parts of the highest quality. No job is considered done until we know you are 100% satisfied! Check out some of the problems our expert technicians were able to solve. A new opener for a new garage! Click here for the details on our team’s latest installation project. After a car accident damaged a panel on this customer’s door, we found the perfect replacement for it! Find out more here. If your garage door is broken in any way, we can send an expert that will know exactly how to have it back to perfect shape! Call today! 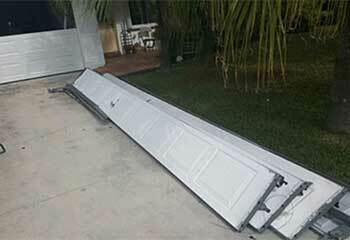 Don't take the risk of damaging your property or causing yourself harm by attempting to install your own garage door. Let us do it professionally for you! Read about our latest installation here. 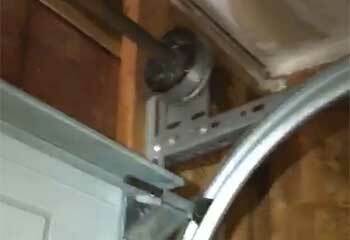 This customer had a garage door that was too heavy for its spring to hold. See how we were able to replace it for a new improved one. Our garage door wouldn't close and my neighbor recommended this company. Their technician quickly replaced a bent track and now the door runs smoother than ever! I recommend the company highly! Our garage door wouldn't move so I found this company on the web. Their technician found the problem fast and repaired the motor, so now everything's back to normal. I highly recommend this company! 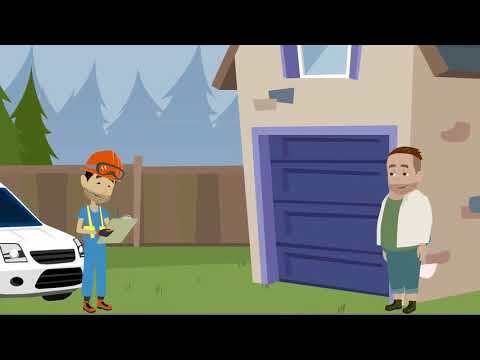 We needed a new garage door and the really friendly team from this company explained everything we needed perfectly. I got a great new door at a very low price. I confidently recommend their services! Our garage door wouldn't open so I called this company and their technician showed up almost immediately. 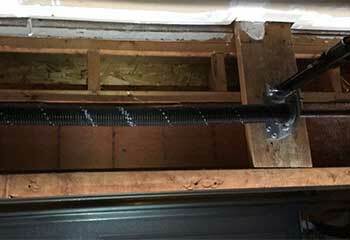 He replaced a broken torsion spring and tested the door, all for a very affordable price. My garage door wouldn’t budge no matter what I did, and this company sent someone to take care of it right away. Great service, definitely recommended! If you need an emergency garage door company I recommend this one. The team fixed my ancient garage door quickly, so I didn’t have to buy a new one.